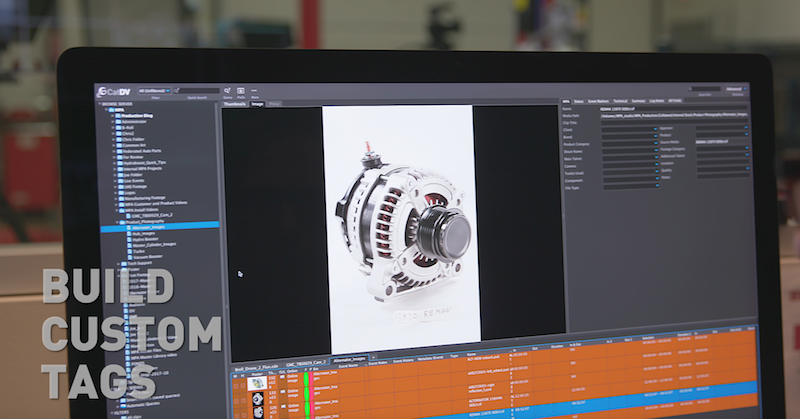 When international automotive aftermarket giant MPA found their video training team stuck in the slow lane, they turned to Quantum Xcellis® Workflow Storage and CatDV Media Asset Management software. The result was turbo-charged production, agile collaboration, and lightning-fast automated archiving and retrieval. With a focus on manufacturing and remanufacturing a broad range of products for cars and trucks, Motorcar Parts of America (MPA) is an international leader in the automotive aftermarket. MPA distributes its products across the U.S. and Canada under its own brands and those of its private-label partners. “One of the keys to MPA’s continued success,” says Joe Micallef, the company’s multimedia production manager, “is that we recognized very early that we needed an innovative approach to training, service and support, along with our world-class manufacturing and quality.” Part of that program included an early emphasis on video training, so MPA took on the task of creating and editing its own training content to help both professional mechanics and DIYers install and maintain the company’s products. Historically, the company produced high-quality content on its Apple workstations. However, this approach made it difficult for the team to share content between editors and reuse existing material. “In the very beginning, a lot of what we were doing was just basically passing thumb drives back and forth,” Micallef remembers. The MPA team decided to upgrade its production and editing systems and sought help from Sunset Studios—an integrator that specializes in helping clients set up production facilities to meet their media workflow requirements. The Sunset Studios team helped MPA create and modernize a full-blown studio that includes four-camera recording in a two-bay garage facility that is now supported by a high-performance data sharing and archiving storage capability. The system that Sunset Studios installed for MPA was based on Quantum’s Xcellis Scale-out workflow storage and CatDV media asset management from Square Box Systems. Quantum’s StorNext®-powered Xcellis storage appliance is a scalable solution designed to give media production teams high-speed shared access to critical data to increase collaboration, simplify management and accelerate production timelines. The Xcellis solution is also tightly integrated with the CatDV Media Asset Management toolset that MPA selected as their asset management and workflow control software. “CatDV enables editors to build custom tags for recalling the content that they’re looking for when they need it, and it happens very quickly over the Fibre Channel network,” Edwards explains. One key advantage of the new system is that it makes it easy to carry out the edits in low-res proxy formats, which can make the initial editing faster and easier to carry out. Once the program is set, the CatDV system automatically pulls the high-res content from the Xcellis archive and builds the final version. Motorcar Parts of America, Inc. (NASDAQ: MPAA) is a remanufacturer, manufacturer and distributor of automotive aftermarket parts—including alternators, starters, wheel bearing and hub assemblies, brake master cylinders, brake power boosters and turbochargers utilized in imported and domestic passenger vehicles, light trucks and heavy-duty applications. In addition, the company designs and manufactures test equipment for performance, endurance and production testing of alternators, starters, electric motors, inverters and belt starter generators for both the OE and aftermarket. Motorcar Parts of America’s products are sold to automotive retail outlets and the professional repair market throughout the United States and Canada, with production facilities and administrative offices located in California, Tennessee, Canada, Mexico, Malaysia and China. Additional information is available at www.motorcarparts.com.